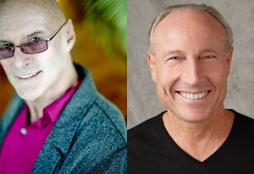 Integral Life has published a 82 minute interview with me and Ken Wilber talking about the Loving Completely course. The article is called “LOVING COMPLETELY: AN INSIDE LOOK AT THE FIVE STARS OF HEALTHY RELATIONSHIPS” and as you might imagine, the audio interview covers quite a bit of ground! For those of you who don’t know, Ken Wilber is the founder of Integral Institute and the co-founder of Integral Life. He is an internationally acknowledged leader and the preeminent scholar of the Integral stage of human development. Relationships are the stuff of life. As such, courses like these are very popular in the web course marketplace. You can barely throw a dart in the direction of a search engine without hitting an online relationship course. So what makes this one so special? I invite you to head over to to Integral Life to read more about the course, and also to find out how your Relationships could benefit from this work. You can also PREVIEW THE COURSE over on Integral Life and see how the rest of the webcourse is laid out. Click here to preview the first module. Meanwhile, here’s the audio interview, broken into 2 files for easy digestion and downloading. Also, feel free to download the files for your iPhone/iPad/Walkman, etc. etc.